Eye-Fi card is a kind of SD or SDHC memory card with Wi-Fi capabilities, made by the company based in Mountain View, California. Using an eye-Fi card inside a digital camera, one can wirelessly and automatically upload digital photos to a local computer or a mobile device such as a smartphone or tablet. The Eye-Fi company offers three memory card types, including Pro X2, Mobi X2, and Connect X2. The Eye-Fi warranty does not provide for data recovery or reimbursement for data recovery services. It only covers the product itself, but does not cover any damages due to data loss. If you accidentally deleted files from Eye-Fi card or have formatted Eye-Fi but forgotten to backup the data on it, provide the card is still functional or is still recognized by your camera or computer, you can try using a data recovery program. The File Recovery software developed by UFUSoft will show you what files can be recovered and provides a preview of the files for the most common picture file types. The UFUSoft File Recovery is able to retrieve your Eye-Fi SD/SDHC card lost pictures, videos, audio files, and document files to Windows 10/8.1/8/7/Vista/XP or Mac OS X PC. 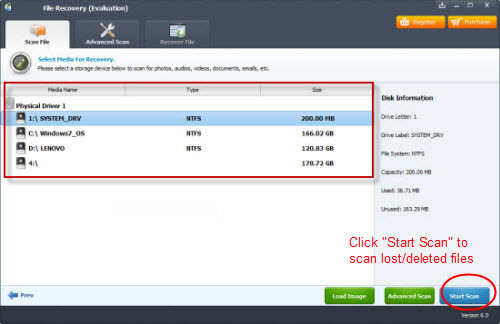 Besides Eye-Fi as well as other memory cards, the data recovery software is also able to recover photos directly from computer, camera, mobile phones, etc. The demo version will require purchase of a license key to enable the feature to save any recoverable files. Free download the demo and try to recover your deleted, formatted data to computer. Step 1: First download and install Eye-Fi SD memory Card Data Recovery tool. Connect your memory card to the computer with the help of card reader or USB drive. Step 4: Simply select and check the file you wish to recover from the list, then click “Recover” and the program will recover the lost Eye-Fi SD memory Card files and save them to destination you specified.